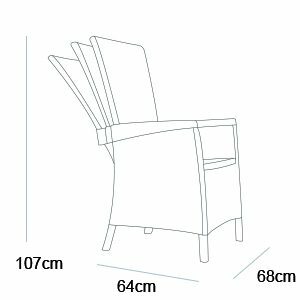 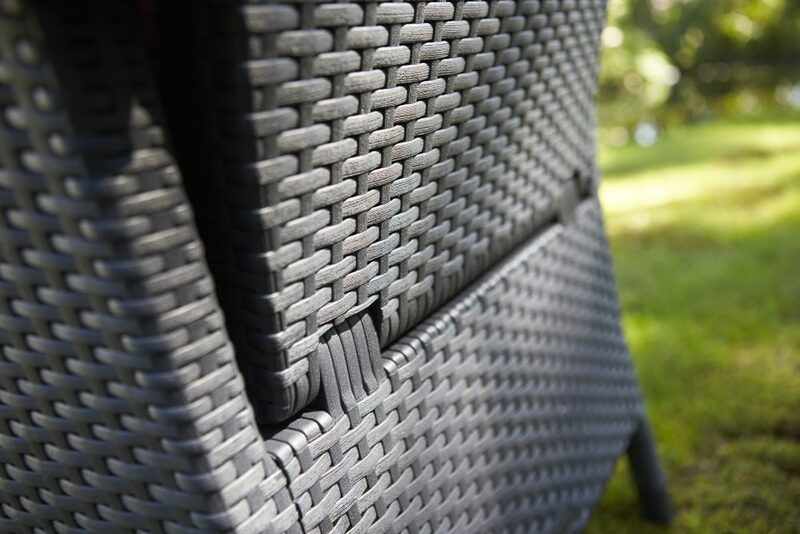 The high and reclinable backrest of the Vermont garden chair makes sure that your back always gets the best support. 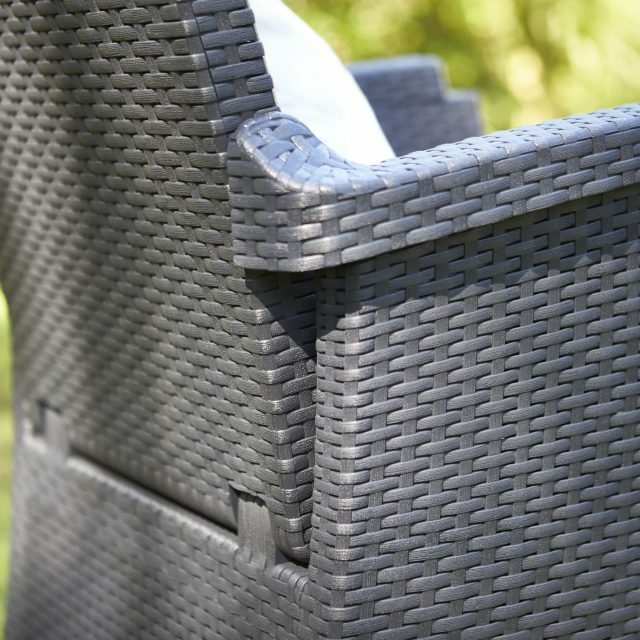 Thanks to the small storage table there is always room for this duo set on your terrace or balcony. 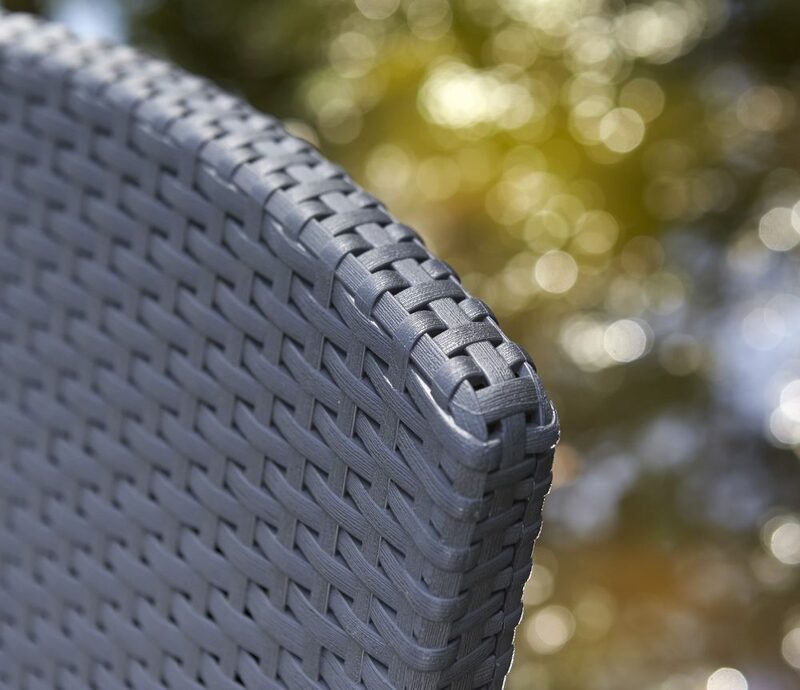 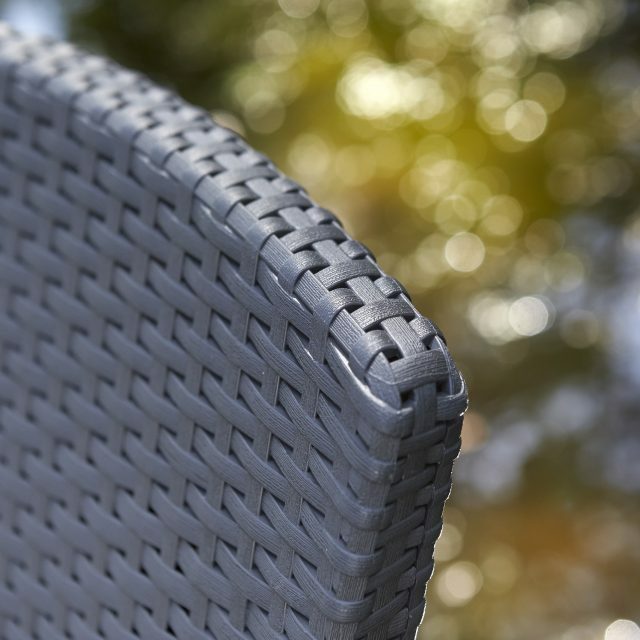 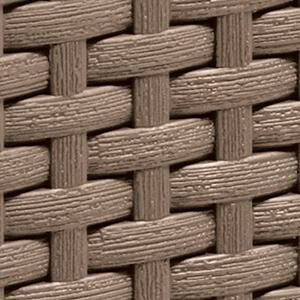 The durable, flat wicker is weatherproof and easy to clean. 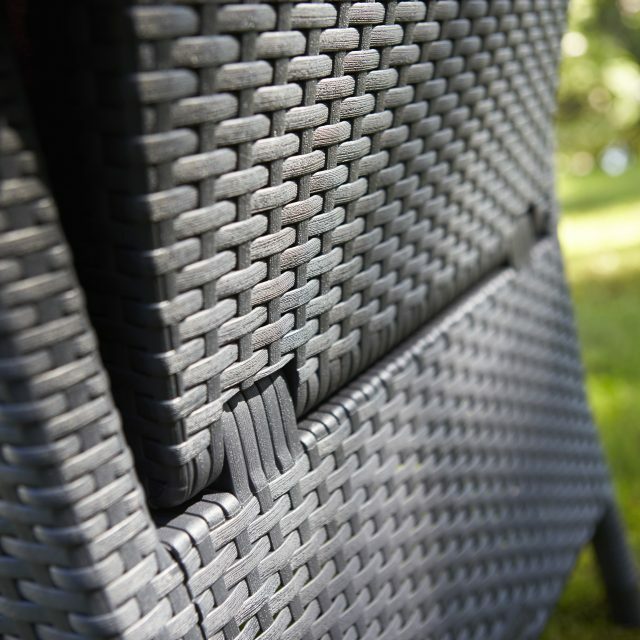 Enjoying the long summer days is done with ease in one of the Vermont chairs. 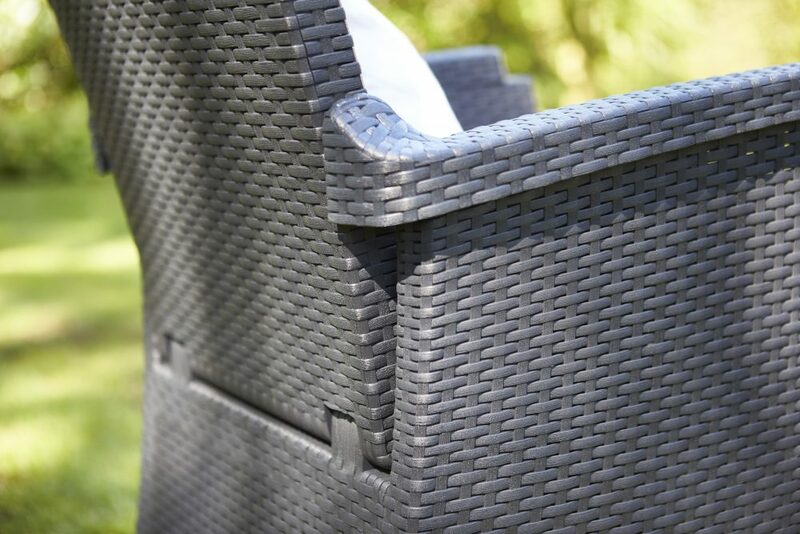 The storage table has a modern wood look and is available in the colours graphite and cappuccino. 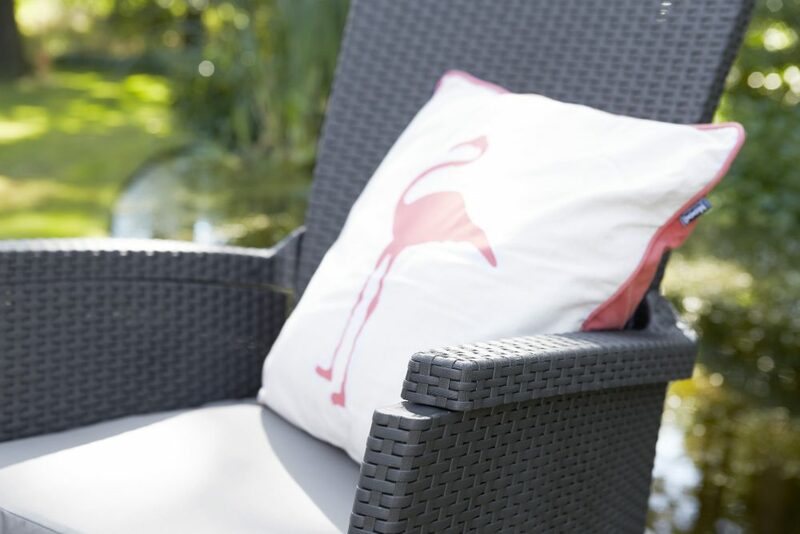 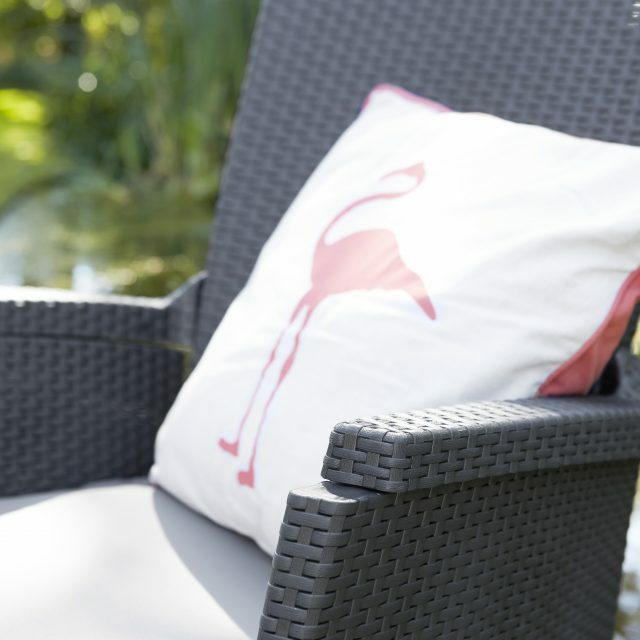 With the matching cushions this set is definitely an asset for your garden.